Joseph P. Sanchez - Harris, Karstaedt, Jamison & Powers, P.C. Since 1994, our attorneys have been achieving success in challenging civil litigation on behalf of insurance providers, businesses and professionals. 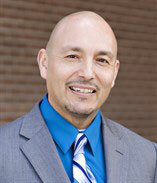 Joseph Sanchez serves as Of Counsel at Harris, Karstaedt, Jamison & Powers, P.C. and provides a full spectrum of litigation defense and risk management advice to businesses, contractors, landlords, property owners, and property managers. Joseph’s primary focus is on the defense of employment discrimination claims, defense of federal civil rights matters, and constitutional law issues. He also has extensive experience in insurance defense, contract law, construction defect claims, product liability, housing, and toxic tort litigation matters (including carbon monoxide and asbestos). Joseph also provides corporate counsel services and legal support concerning governance, employment laws, contracts, marketing agreements, acquisitions and mergers, and compliance programs that consider the CAN-SPAM Act, Gramm-Leach-Bliley Act, and the FCRA. He has served as a team leader and acted as an advisor to corporate executives and senior managers. He reviews, drafts, and negotiates vendor, supplier, and customer agreements including purchase agreements, real estate leases, and equity award plans. AV® Preeminent Peer Review Rating in Litigation, Personal Injury, and Insurance from Martindale-Hubbell. AV®, BV®, AV Preeminent® and BV Distinguished® are registered certification marks of Reed Elsevier Properties Inc., used in accordance with the Martindale-Hubbell certification procedures, standards and policies. Martindale-Hubbell is the facilitator of a peer-review rating process. Ratings reflect the anonymous opinions of members of the bar and the judiciary. Martindale-Hubbell Peer Review Ratings fall into two categories – legal ability and general practice standards. Harris, Karstaedt, Jamison & Powers, P.C.